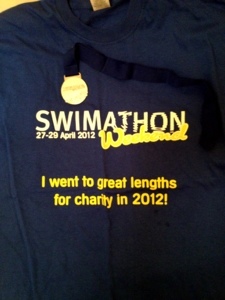 I only just realised, that I haven’t updated on the status of the Swimathon challenge. I didn’t mean for it to skip my mind like that, but I’ve truly been a bit busy lately! Without further ado then I’d like to inform you all, those that bother checking this space that is , that I’ve successfully completed the 5K freestyle swimming challenge. My time was also something I had set as a goal to achieve an under 2 hours personal best, and I’m proud to say that I’ve managed to do just that. I completed 5014m in 1:49:00. My position in my age group was 191th which wasn’t too bad, given that I basically started my training from scratch, and managed it while I was working full time and doing my MSc part-time. Thus I’m quite happy with this result! 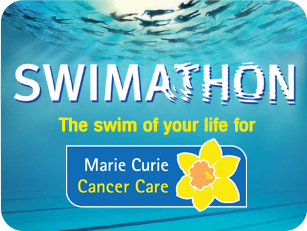 Through this process, and primarily with the help of friends and former colleagues, we managed to raise £200 for the Marie Curie nurses. For that I thank all of you who contributed to this cause. I’d also like to thank all those that send me a message of support and inspiration. I really needed them during this trial, so once again “Thanks!”.